Technology has the power to do many things, and changing the world is one of them. We’re privileged to be living in a time where science and technology can assist us, make our lives easier and rethink the ways we go about our daily lives. 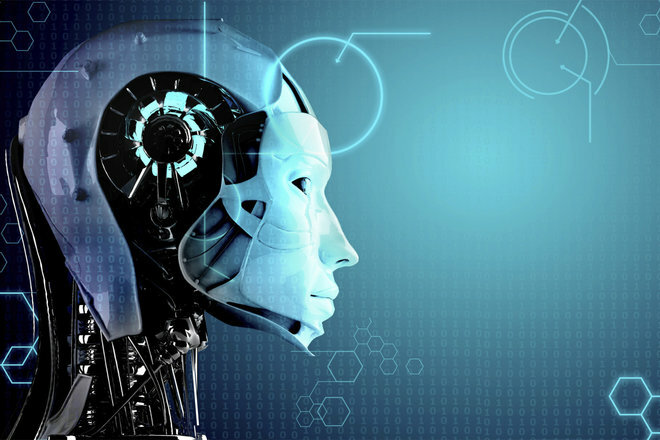 The technology we’re already exposed and accustomed to has paved the way for us to innovate further, and this list of current and future technologies certainly have the potential to change our lives even more. As the population of Earth continues to grow, living space also shrinks, not only for human beings but for the animals and plants we rely on too. It’s reasonable to see a future where tech will need to be developed to allow for farmland in unusual places. 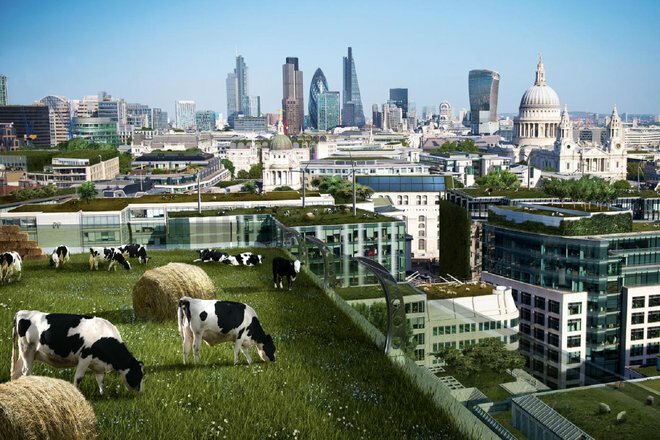 This concept of high-rise farms in the middle of a city isn’t totally out of this world. Cows on tower blocks might seem a bit bonkers, but lab-grown meat is a real thing that’s already being worked on. 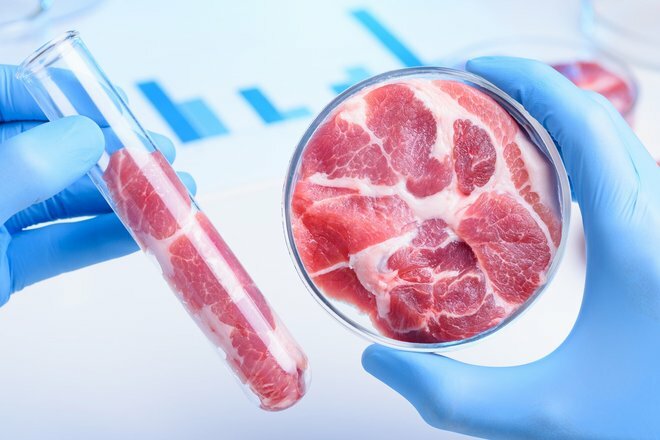 If scientists can develop a cost-effective way to grow edible meat in the lab it would change the way we live and eat forever. This change not only cuts down the ecological damage meat farming does to the world, but also makes for an ethical alternative to meat eating that many people could enjoy. We can fly to virtually any country in the world without any trouble, but what if we could all one day see the earth from space? Companies such as Virgin Galactic, SpaceX and even Amazon’s Blue Origin, want to make it a reality one day, and give us a (very expensive) seat aboard a spaceship to take us into orbit. 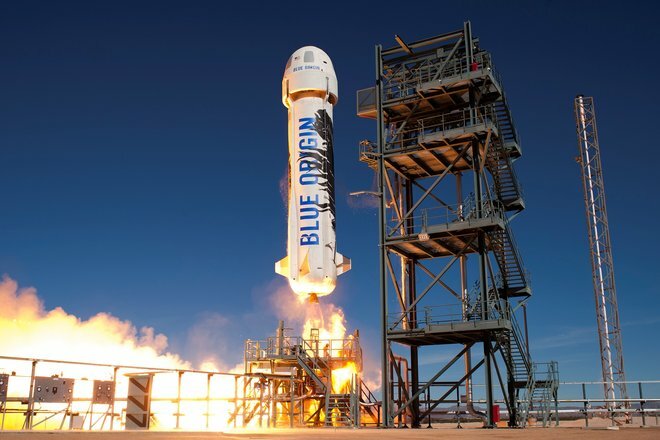 Passengers on Amazon’s New Shepard space shuttle will be taken 100km above sea level, before parachuting back to earth. We’ve been wreaking havoc on Earth for a long time and the planet can only put up with mankind’s destructive nature for so long. If we don’t destroy it, we’ll one day outgrow it. 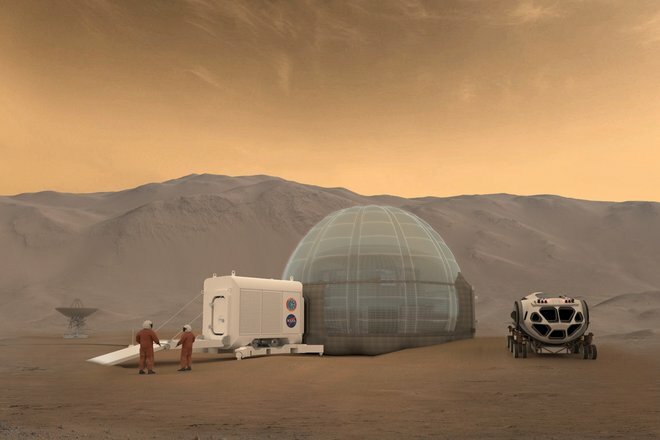 Plans are in the works to colonise other planets and Mars will no doubt be the first port of call. With leaps forward in technology, this vision of the future is quickly becoming science-fact, rather than science-fiction. 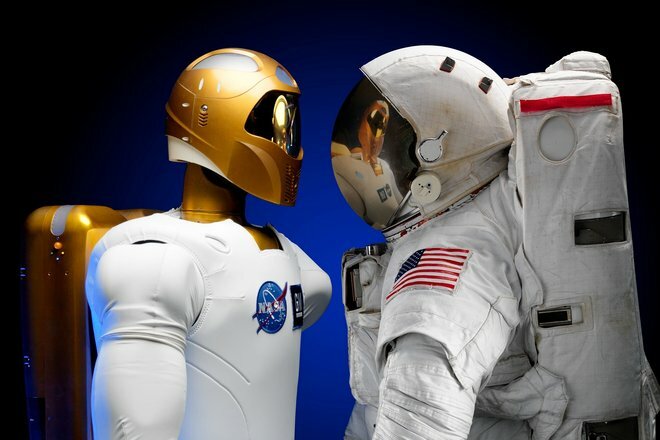 NASA is already sending robots of different shapes and sizes into space. As technology progresses, this makes sense. Robots don’t need to worry about oxygen to breathe or food to eat and they can be packed full of sensors to send data back to Earth. The same applies in the workplace. Robots can take on the more difficult, dangerous and dull jobs to save mankind the trouble and risk. They can also theoretically operate more quickly, efficiently and with less mistakes too. Electric cars are nothing new; they’ve been on our roads for some time now and they’re only getting better. 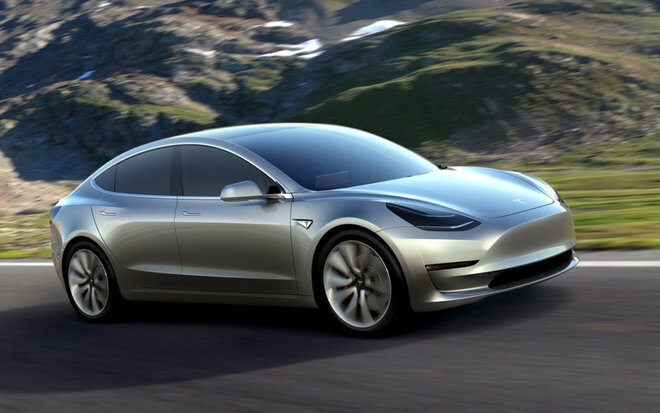 Car batteries are lasting longer, the charging station infrastructure is growing and self-driving technology is being heavily invested in meaning it’s coming sooner than you probably think. Tesla already has a complex Autopilot mode that can take over some driving controls, but one-day car manufacturers hope to let us go completely hands-free. You’ll no longer need to commute to work yourself. Take a nap, relax, let the car do all the work for you. What a time to be alive. Chores, chores, chores. Boring and unfortunately necessary. But what if robots could help save you the misery? 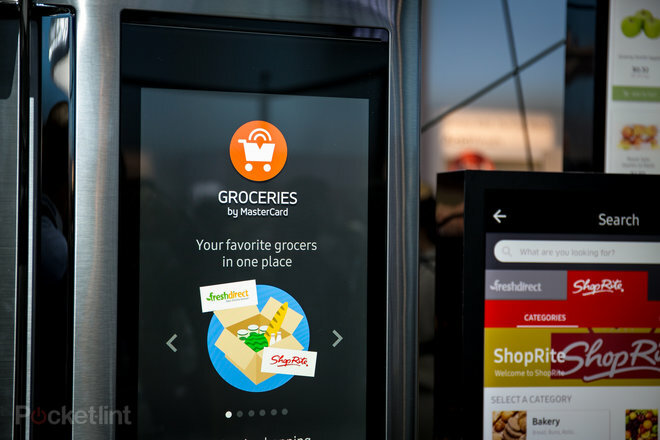 We already have the beginnings with robot vacuum cleaners and smart home appliances. 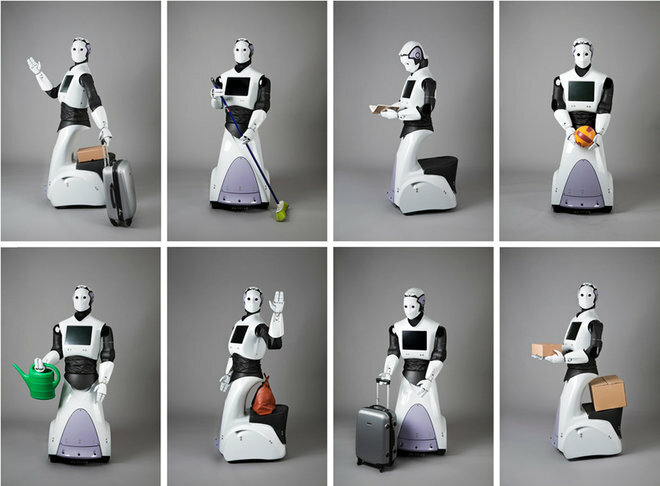 Larger, more useful robots are springing up too. We could easily be living in a future packed full of useful robots helping around the home as butlers, chefs or general dogsbodies. Space is finite and running out quickly – especially in crowded urban spaces. 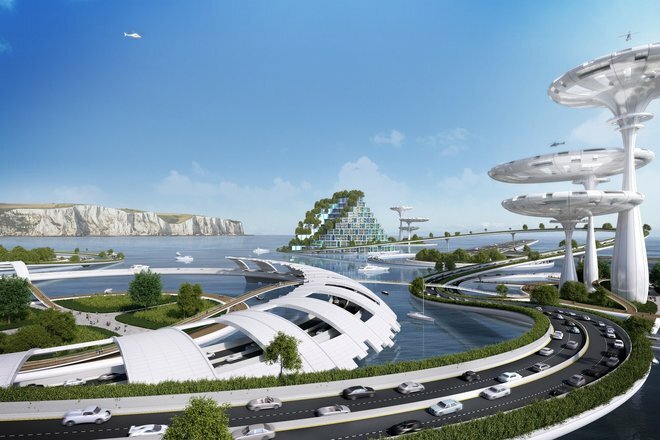 This concept shows a future where roads and living spaces have moved out over the waters. When self-driving vehicles do all the work and are fast enough, journeys across the oceans this way might not be unrealistic either. 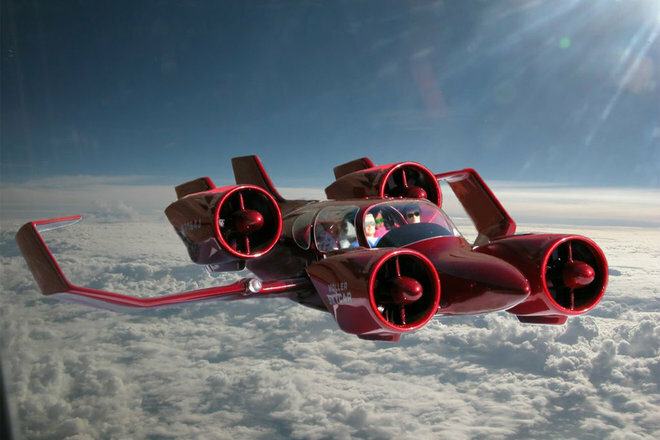 When there’s no space left on the roads, it’s not unreasonable to think we might take to the skies. There are already plenty of interesting flying car designs that show this future is a realistic possibility. Solar panels are another technology that has been around for a while, but their future potential is huge. 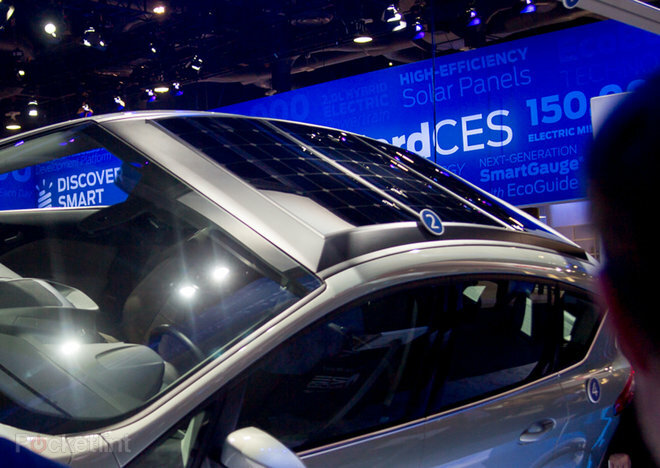 Not only can they now be hidden in the tiles on the roof of your house thanks to Tesla Solar Roof tiles, but some companies are developing ways of integrating them into car roofs, where they will be able to power in-car tech or make the battery last longer. 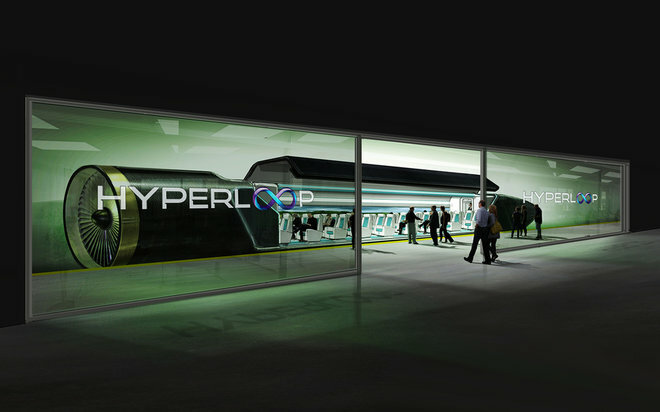 Another Elon Musk backed company, Hyperloop is a high-speed underground transport system that is currently being built and tested in America. The first route planned will go from Los Angeles to San Francisco. Another route is planning to go from New York to Washington D.C. in 29 minutes rather than the 2 hours 56 minutes it takes at the moment. Hyper-fast trains that go underground and underwater could revolutionise not just public transport, but international travel too. Imagine being able to speed from one country to another in the same time it currently takes to travel between towns. Augmented Reality, or AR, has some incredible potential. It’s been around for a while now, in the form of various apps that can overlay information around you and is different from VR because it overlays information rather than simply put you in a virtual reality. 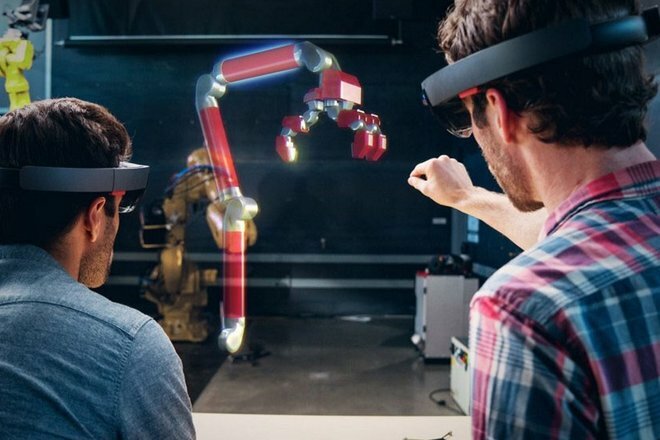 Companies are already experimenting with using both augmented reality and virtual reality devices in the workplace. They can be used in a variety of ways including visual representations of blueprints, virtual scale models of products in development or for simple things like virtual team meetings. 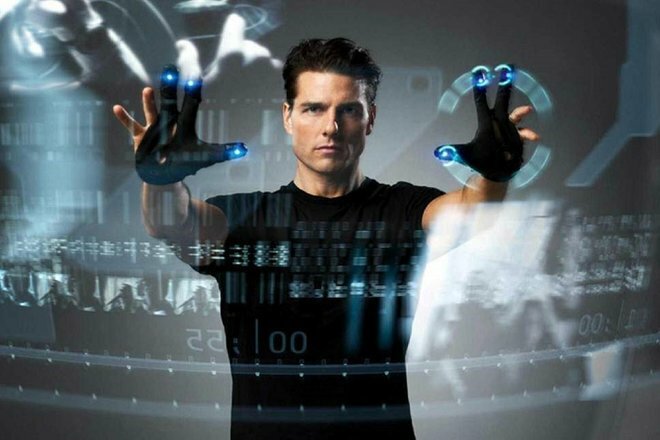 It might have been popularised by Minority Report, but the concept of gesture-based computing has been around for a while. It’s also already appearing in multiple different technologies and is almost second-nature for most anyway. How many gestures do we already use on a day-to-day basis on our smartphones, tablets and other smart devices? 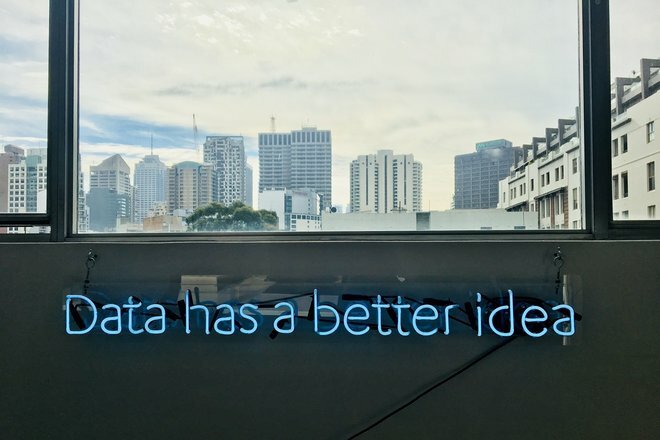 It’s reasonable to see a future where we’re no longer restricted by mouse and keyboard and instead rely on voice and action to manipulate data in a virtual space. 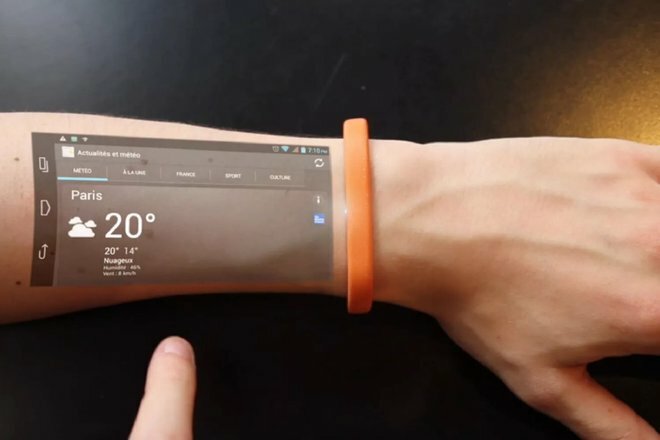 We might be currently daydreaming of foldable phones and screens, but the future might well be screenless. There are already plenty of touch-capable projector-like devices that can beam usable screens onto your skin, clothing or other surfaces. 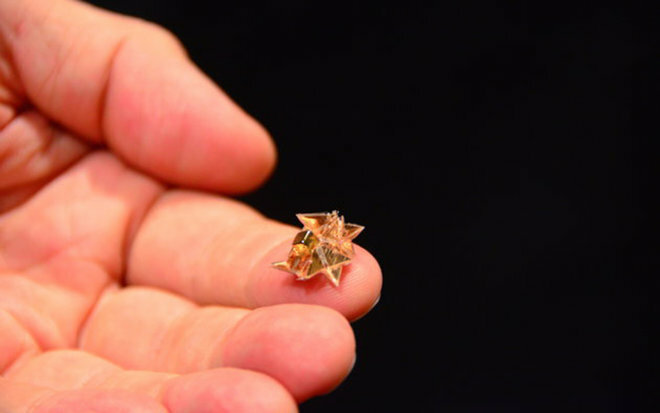 The future of smartphone tech might not even require a device in your pocket but something you wear or have implanted. Self-driving cars are one thing, but the Transports Research Laboratory (TRL) wants driverless lorries on UK roads in the very near future. The idea is for up to three lorries to drive in convoy, with the lead vehicle controlling the acceleration and braking of the two vehicles behind it. 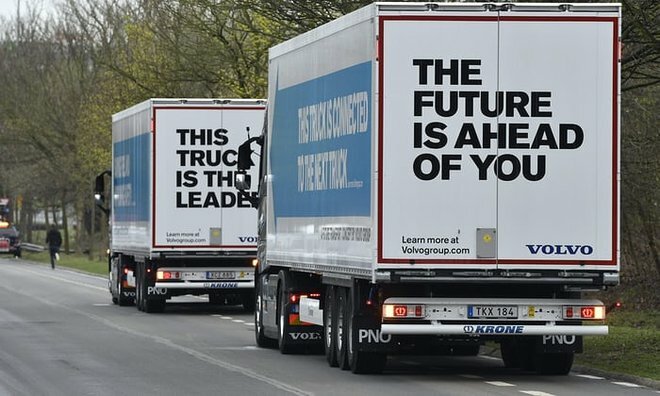 The “slave” lorries, while still having a “driver” to steer them, would be able to drive much closer together, compared to humans driving, and therefore reduce fuel costs and emissions. We’ll soon live in a future where our deliveries and cargo are transported by computer powered transport. More efficient and always on time. We’re not quite in a world where Star Trek replicators exist and we can magic up anything we want out of thin air. 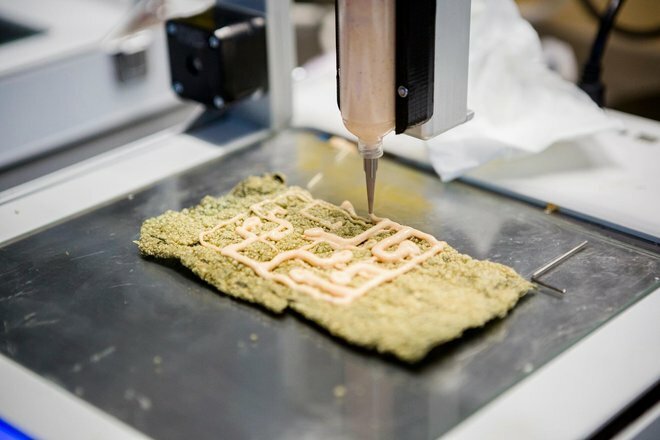 But 3D printing technology is coming along quickly and companies are already experimenting with printing food. Fridge running a bit low? Not a problem for future you, just print some cakes, vegetables or even a pizza. We’re dreaming big here. 3D printing is taking off in other areas too. From creating aeroplane and vehicle parts, replacement joints such as hips, or pieces for a board game, it still has huge potential to change our lives in the coming years. 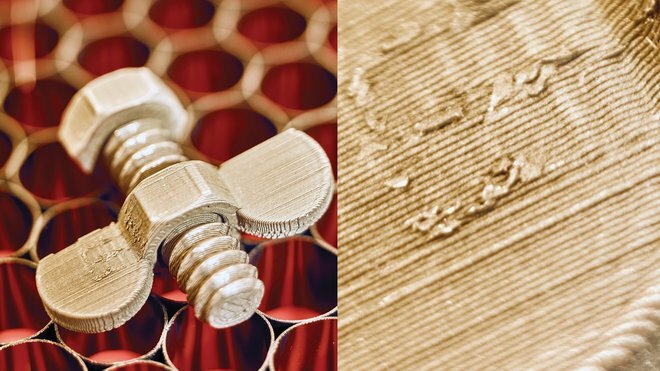 The materials being used to print with are evolving too, and now include graphene that is “lighter than air” but 10 times stronger than steel. 3D printing has come on a fair bit in the last few years. Just recently, advancements in the technology have seen researchers producing 3D printed parts from metal and stainless steel. Some of these techniques are even producing parts that are stronger and more robust than traditionally made parts. As if that wasn’t enough, in 2017 one company even started creating 3D metal printers for under $100,000. While another company produced larger 3D printers capable of producing materials at 100 times the speed of old-school methods. The future is all 3D printing it seems. If 3D printed food seems unrealistic, how about a refrigerator that senses when you’re running low on something and orders it for you? This tech already exists and is getting better and better every year. Eventually, it’ll be so common every home will have one and you’ll never need to pop out to the supermarket again. 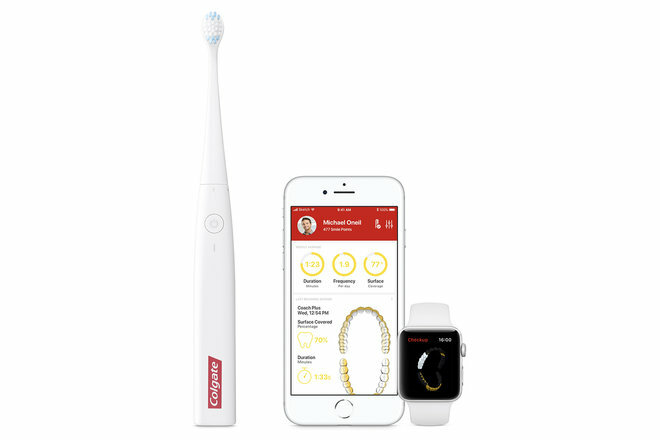 We already have intelligent toothbrushes which keep an eye on your brushing technique to make sure you’re doing a good thorough job each time you brush. But what if your toothbrush could send that data to your dentist so they don’t even need to ask if you’re flossing daily? Or, perhaps less terrifyingly, using sensors to monitor your dental health by scanning for cavities or plaque build-up. 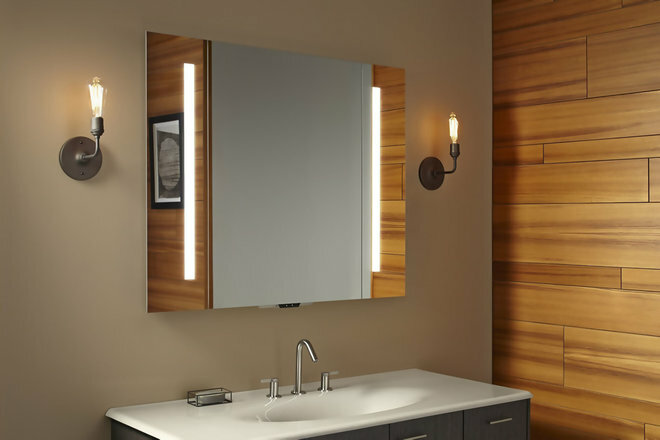 A quick glance in the mirror each morning gives you a visual cue on how you’re feeling and looking to the outside world. Now imagine a future where smart mirrors could scan you and tell you about potential health problems, vitamin deficiencies or warnings signs of underlying issues. Pre-emptive information about these symptoms might help you prepare. 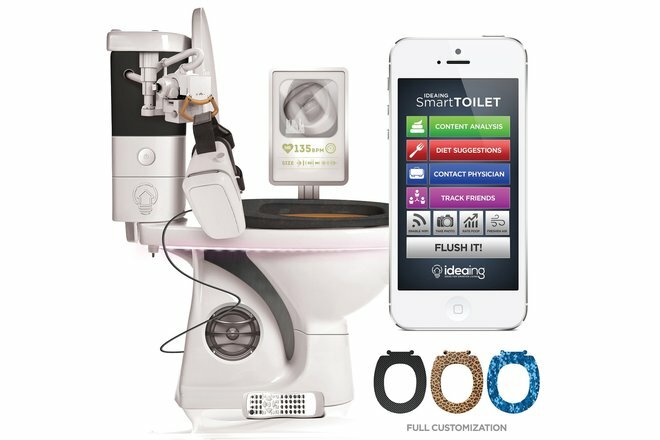 Smart toilets aren’t a new idea. The Japanese are renowned for having incredible toilets with posterior warming seats, built-in bidets and much more besides. The toilet of the future might go a step further by analysing your leavings to check to illness. Imagine how effective such a device could be at helping people catch signs of bowel cancer early on before it becomes a significant problem. It could also alert you to dietary issues or deficiencies that need rectifying to improve your health. 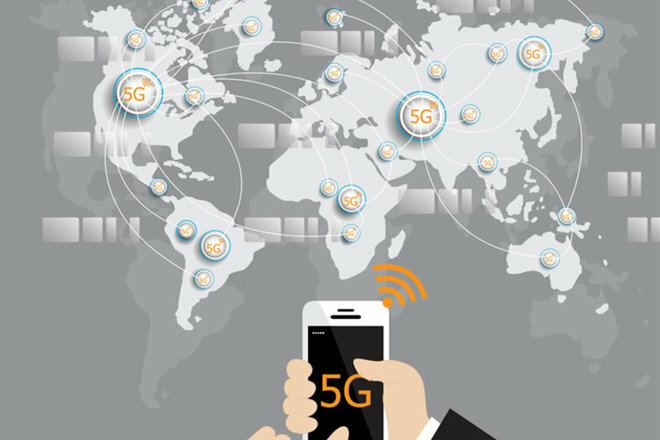 We may only just be touching on the possibilities of 4G data here in the UK, but 5G is already on the horizon and could offer faster than wired download speeds wherever you are. As you can imagine, fast connection speeds without overcrowding will open up a wealth of possibilities for “connected devices” from everything from home appliances to cars and gadgets we’ve yet to even invent yet. Qualcomm is one of the major players bringing 5G to market around the globe with its X50 chip. The chip will be capable of download speeds up to 5Gbps and should hopefully make its way into some 2018 or 2019 flagship phones. Li-Fi has been experimented with for the last few years and has some interesting potential for uber-fast data transfer speeds. Li-Fi uses light to transmit data rather than Wi-Fi’s radio waves. This technology is theoretically capable of transmitting data at much higher speeds and is also less prone to interference. Because the visible light spectrum is around 10,000 times larger than the radio spectrum, there’s a lot more potential for bandwidth. It’s also thought that if Li-Fi does manage to take off it will be considerably cheaper than Wi-Fi. What is Li-Fi and how is it 100 times faster than Wi-Fi? 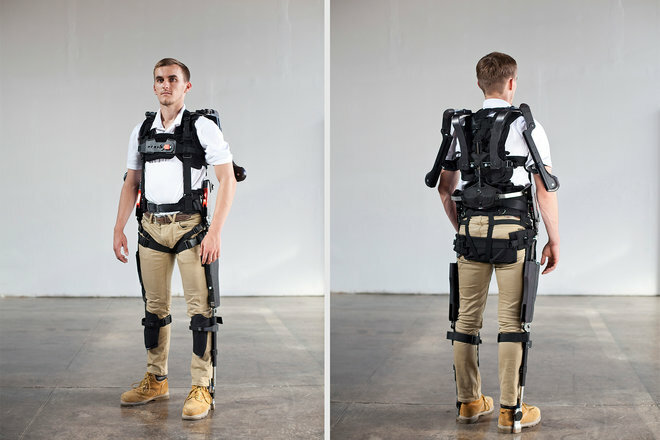 Robotic exoskeletons are already being used by the military to give soldiers extra strength and abilities, making their job easier, but they could also help disabled people, especially those who are unable to walk or use their arms get about easily too. Prosthetic and robotic limbs are already a reality, and are proving invaluable, but to have a whole robotic body would provide a whole new level of freedom for many around the world. The constant churn of new technology means landfills are often full of old and obsolete tech. One thing the human race will have to do in the future is to learn new ways to recycle, reuse and re-engineer old technology to minimise waste and save the world. 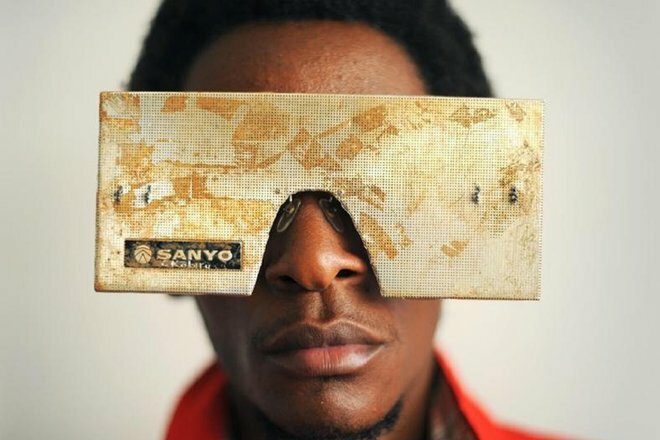 People are already coming up with a variety of interesting ways to recycle old tech, including turning disused plastic into material for paving roads and pavements. AI is all around us. It’s in machines, robots and even our smartphones. You’ll find voice assistants such as Siri, Alexa and Google Assistant already in your phone and they are already going some way to proving just how far AI has already come. AI could eventually find its way into things like robot servants, writing our news, or even replacing customer service reps.
Let’s just hope they don’t take over the world! 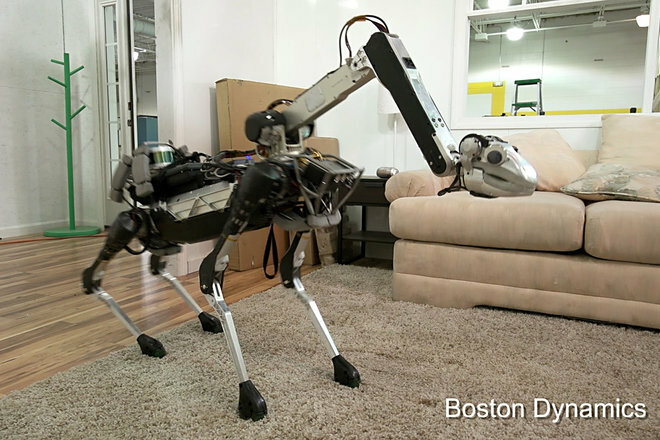 Robots are a running theme for the future tech in our list, but Boston Dynamics is constantly working on machines aimed at supporting or taking an active role in the military. It’s perfectly reasonable to imagine a future where robots are sent to fight our battles, in the place of men and women. These expendable machines are more likely to get the job done without fear, injury or problems with PTSD or follow up care if they get hurt. Other robotic technology is being employed to monitor and care for our health. Tiny microscopic Nanobots could theoretically be deployed to scan and monitor our insides to hunt out health problems. They might also be used to repair damaged organs or carry out intricate and delicate surgery procedures and remove the need for invasive traditional surgery. This could mean less time in hospital, less recovery time and fewer scars too. Streaming films and music is perfectly normal nowadays. It won’t be long before we’re doing the same with games too. 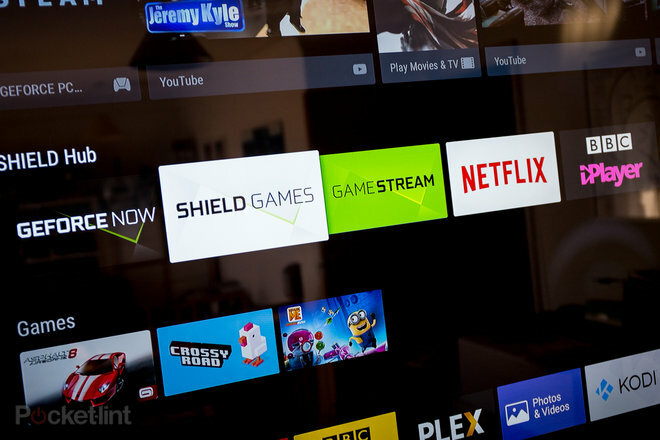 Imagine paying for service where you no longer need to own a console or computer but can play high-end, modern games on your TV by streaming from the cloud. Faster broadband, better gaming technology and more reliable infrastructure could soon make this a reality.